The neighbourhoods and islands of Hong Kong offer you a feast. Not just for your taste buds, but for all your senses! With all that this destination has to offer, you may be wondering when you should visit. 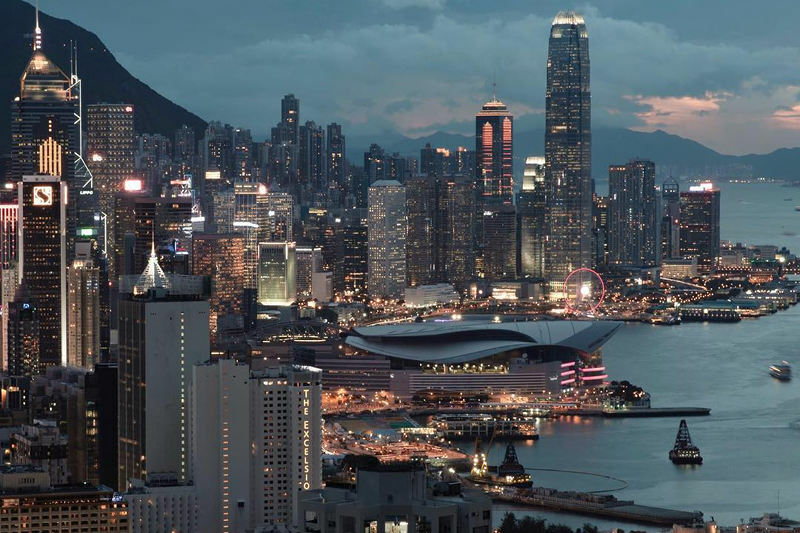 The best time to visit Hong Kong is during the more moderate months of mid-December to February when the crowds disperse and dry conditions ensure you can comfortably explore all that Hong Kong has to offer. This fantastic destination in southern China is home to a wealth of incredible attractions. Hong Kong is one of the world’s top culinary capitals, thanks to a wide range of influences. Beyond the streets, there are spectacular landscapes, including scenic mountains and large country parks. See the city’s skyline from the elevated Victoria Peak. Visit the Bank of China, one of the tallest buildings in the world. And don’t miss Hong Kong’s shopping scene at Tsim Sha Tsui. Are you thinking about when’s the best time to visit Hong Kong? Are you obsessing what you’ll do once you set foot in this destination in East Asia? Well, get your travel plans rolling and book cheap flights to Hong Kong with Travelstart and start packing for this exotic city and its neighbouring islands! Subtropical Hong Kong has a warm and temperate climate. There are four distinct seasons – warm and humid spring, hot and wet summer, sunny and pleasant autumn, and dry and cold winter. 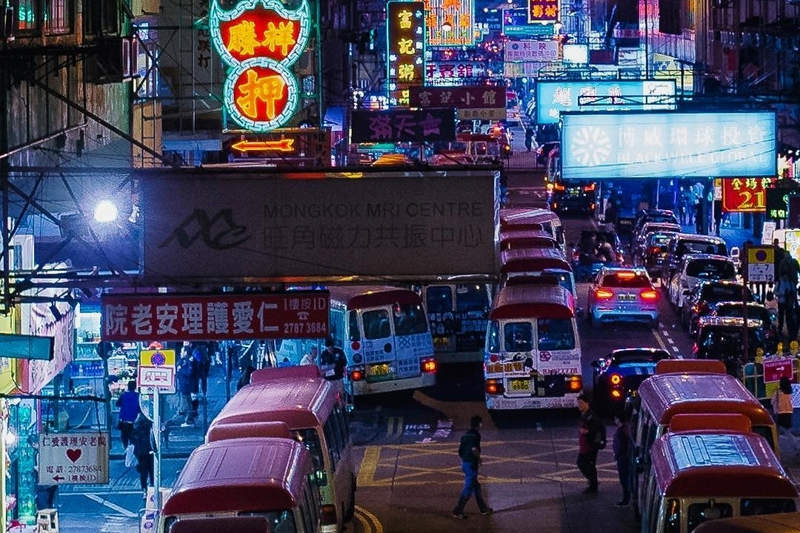 Figuring out the best time to visit Hong Kong depends on your travel plans. The heavy rainfall of summer and spring will have you running for cover. On the other hand, they provide the perfect time to experience Hong Kong’s shopping scenes and her fascinating temples. The dry conditions and moderately cold temperatures of winter are ideal for spending time outdoors and exploring the destination’s islands. Autumn offers the best conditions for the outdoors, with exciting festivals (more about that under Events). The summer’s heat, humidity and rainfall start developing in the spring (March to May), with temperatures at around 19°C in the morning and 24°C during the day. You will get clear days, but this season is notorious for its unpredictable weather. Keep your eye out for approaching storms and pay attention to the weather. Take note of black rainstorm warnings, as these generally bring most outdoor activities to a standstill. While the weather may not be ideal, it doesn’t mean everything in Hong Kong comes to a stop. There are plenty of art exhibitions, shows and more. Read more about them under Events. 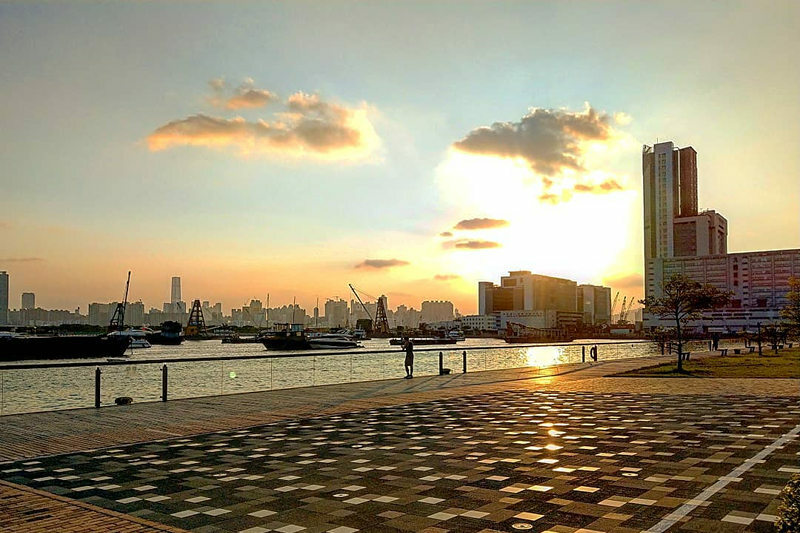 Visiting Hong Kong during summer (June to August) will have you experiencing warm evenings (around 25°C) and hot days (approximately 30°C). Added to that is the high level of humidity and the frequent threat of showers, thunderstorms and typhoons. Make sure to pack in light clothing and a high-factor sunblock, if you’d still like to visit the destination during these months. Wearing a raincoat will make you extremely uncomfortable in the heat, so rather pack in an umbrella. Since most of your time will be indoors, summer is the best time to visit Hong Kong to experience her shopping and dining scene. Try out famous dishes such as dim sum, lo mai gai and char siu. The best time to visit Hong Kong for great weather is autumn (September to mid-December). You’ll have the pleasure of getting the best weather conditions. Humidity is at its lowest during these months. Temperatures are still warm from the summer, around 21°C in the evening and 27°C during the day. Rainfall is low during these months and lighter. Autumn is a great time to visit Hong Kong and enjoy its outdoor activities. 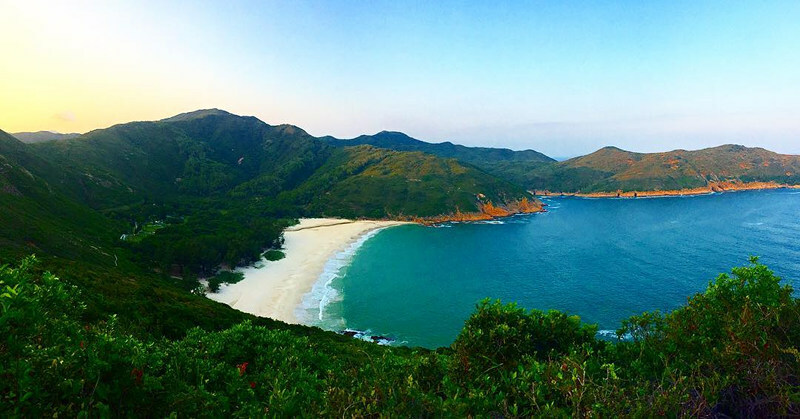 Explore the destination’s scenic hiking trails, such as those in the New Territories. There are also Hong Kong’s beautiful islands, including Lamma Island, Peng Chau and Grass Island. Winter (mid-December to February) is another best time to visit Hong Kong. It is the most comfortable time of year, with mild temperatures. Minimums sit at around 13°C and maximums at 19°C. Winter is also the time when Hong Kong gets the least rain! Rather keep light clothing for this trip, even though locals may wrap themselves up. Spending your time exploring this destination in winter will be worth it, with festivals, carnivals and lots more taking place (more of that under Events). How much are flights to Hong Kong? Spring, summer and autumn are busy times in Hong Kong. It’s the peak vacation period for mainland Chinese during spring and autumn. Many festivals take place during these months. Be prepared to pay around 50% more for travelling to the city and islands around this time. Make sure to book your flights and accommodation well in advance to get the best deals. Thanks to colder temperatures, there are fewer tourists, making winter the best time to visit Hong Kong and skip the crowds. 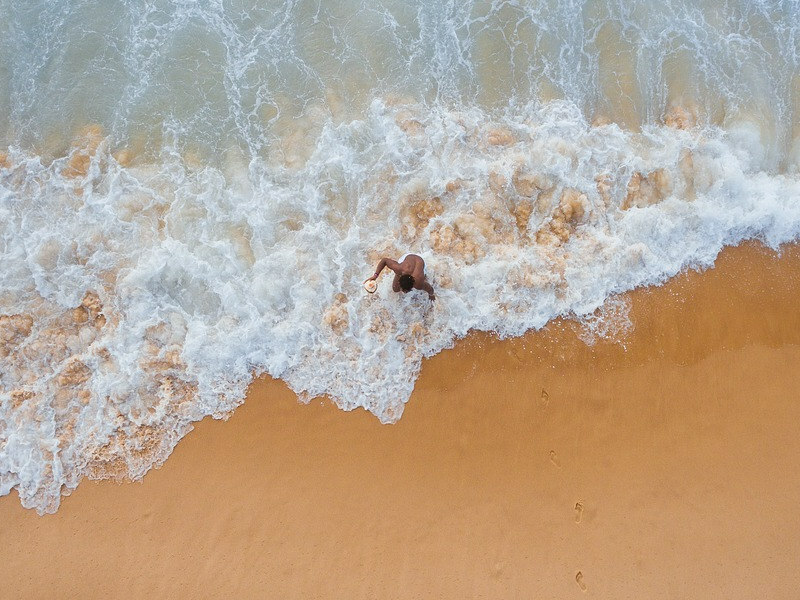 In summer, travellers tend to avoid the city and concentrate on the beach. Plenty of hotels offer lower prices and packages during these months. You can expect to save up to 40% on flights to Hong Kong. While you can look forward to better deals, make sure to secure flights and accommodation well in advance to make sure you get the package you prefer. The sunlight in Hong Kong is dependent on the season. During spring and autumn, you can get from 11-12 hours of daylight. Summertime offers more than 13 hours of sunlight. Should you be in Hong Kong during the winter, you can expect 10-11 hours of daytime. The water off the coast of Hong Kong is at its coolest from December to February (around 20°C). Not bad conditions for a swim and the best time to visit Hong Kong if that activity is on your list of things to do. From March, the temperature steadily increases over the months until it reaches 28°C in July and August. No matter the weather, the best time to visit Hong Kong can be any time in the year, with these awesome annual events! If you visit Hong Kong to take part in the lunar New Year celebrations and watch the fireworks, you’ll be in for more treats. The Dragon and Lion Dance Festival takes place on the first day of January. 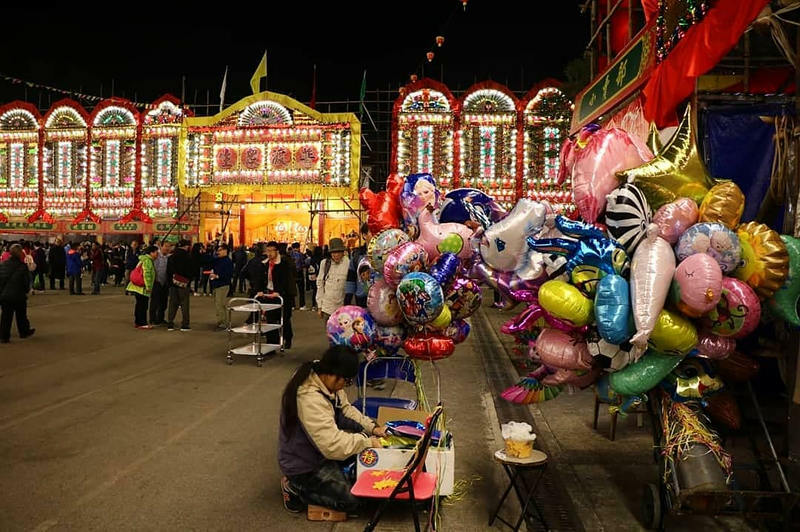 Expect to see hundreds of colourful dragons, lions, happy Buddhas, celestial guardians and acrobats dancing and parading through the streets of Hong Kong. 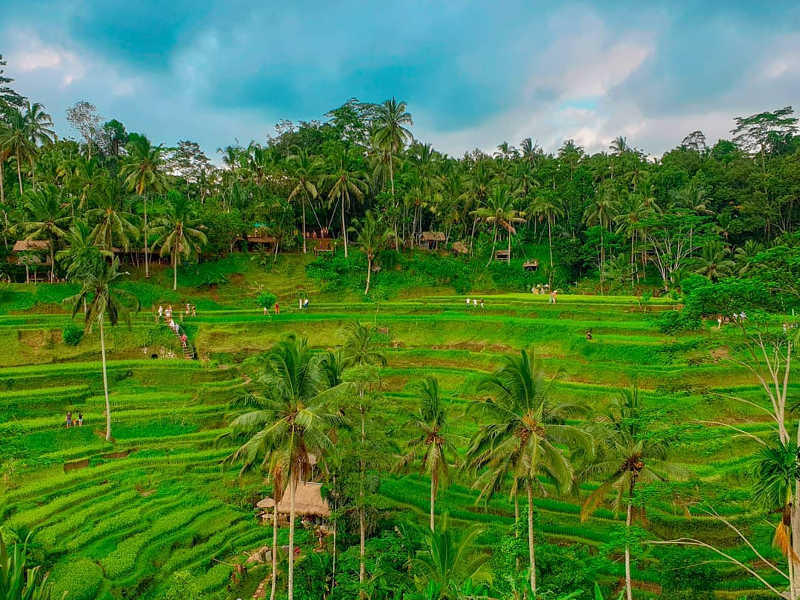 It’s one of the most significant events for the destination, even making its way into the Guinness World Records (in 2011, there were more than 1,000 dragons and lions!). If you’re a lover of the arts, make sure you’re around to experience this major international event. The Hong Kong Arts Festival will let you discover the best of Hong Kong’s talent and treat you to appearances from theatre troupes from around the world. Enjoy performances from a range of artistic genres, including Western and Chinese opera, classical music, jazz, dance, theatre and more. The Hong Kong Arts Festival starts from mid- to late-February and continues until mid- to late-March. 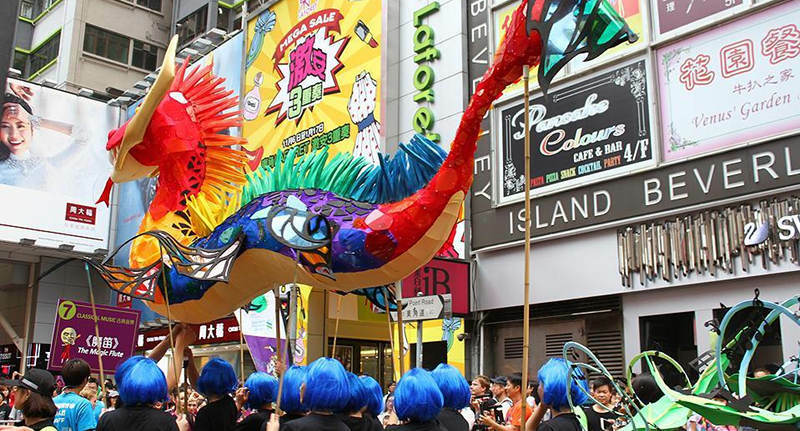 This festival is one of Hong Kong’s most prominent cultural events. Anyone involved in the film industry tends to promote their new films at this festival. Not only will you get to see locally produced movies, but those from other nations too, including Taiwan, Japan, India and Georgia. For any movie connoisseur, don’t miss this festival! The Hong Kong International Film Festival usually takes place in March or April each year. If you’re interested in electronic gaming, home appliances, personal electronics, or solar technology, then you should get yourself to this fair at the Hong Kong Convention and Exhibition Centre. You’ll get to see the launch of new products from major brands, and you’ll even get to sample some of them. The festival has two editions: the spring edition takes place in mid-April, while an autumn edition occurs in mid-October. One of Hong Kong’s oldest festivals (as far back as the third century), the Dragon Boat Festival is another one of the destination’s colourful events. Watch brightly-coloured dragon boats as they race to decide who is the fastest! Teams come in from all over the world to take part in this festival. The origin of the festival has its roots in legend: the old man Qu Yan, an official who became disillusioned with his country’s government, drowned himself in protest. Locals then rushed to where he was, in their boats, banging drums and gongs to scare away anything that might harm Qu Yan. July might be the best time to visit Hong Kong since you can cool yourself off with this beer and music festival! You’ll get to indulge in more than 100 world-famous beer brands from participating bars, restaurants and street booths. Enjoy the live music from more than 20 bands, take part in many interactive games and browse through the fun arts and crafts stalls. The Lan Kwai Fong Beer & Music Festival is for the entire family. 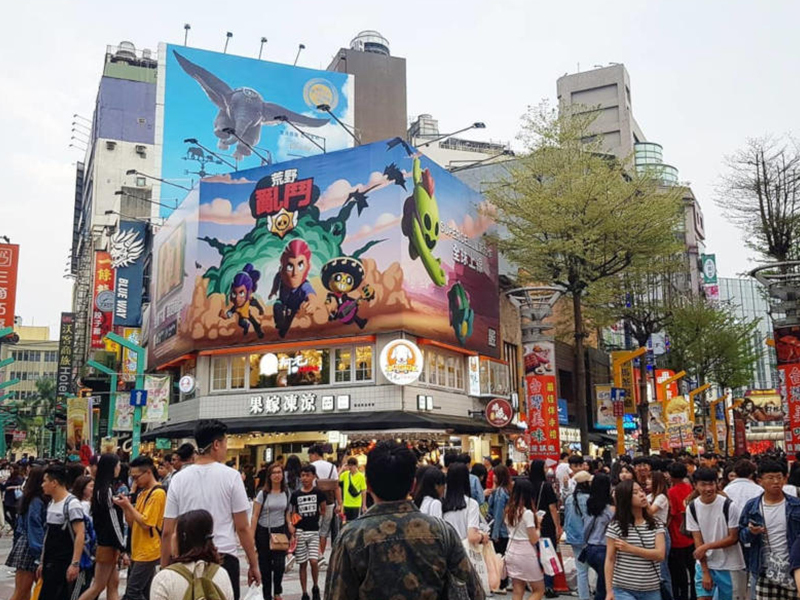 This event takes place on the streets of Lan Kwai Fong in July (the organisers finalise the dates closer to the time). If you’ve visited Hong Kong before to enjoy the destination’s culinary delights, then make sure you arrive in time to enjoy this food expo in late August. For five days, sample gourmet treats from around the world and watch demonstrations from international experts, including chefs of Michelin fame. Discover gastronomic creations from the west to the far east! If you want to experience the culinary wonders of this destination for more than five days, then November is the best time to visit Hong Kong. Make sure you can stick around for the entire month because that’s how long the Great November Feast will last! This massive gourmet marathon will take over the city. 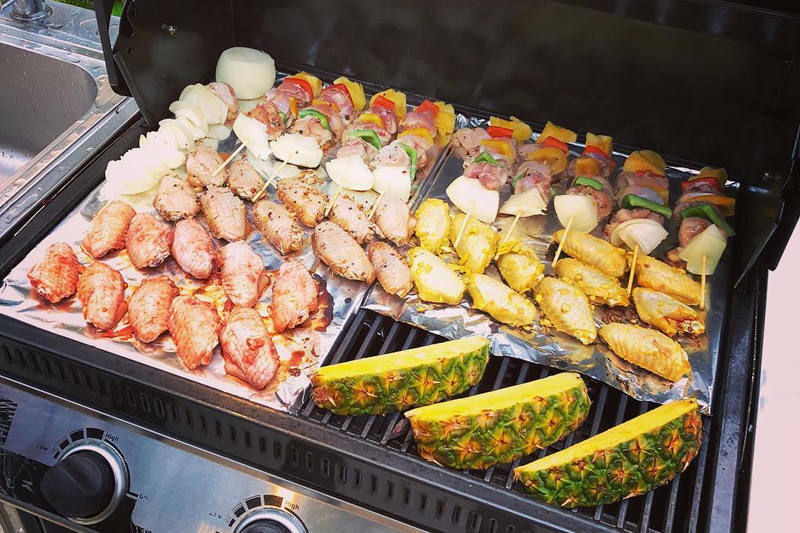 You’ll have plenty of choices with a multitude of food and drink events to enjoy. Indulge in signature tasting menus at leading restaurants around town, specially priced wining and dining offers, and more! The best time to visit Hong Kong to get into the Christmas spirit is from the beginning of December. Expect to see the streets of Hong Kong light up with colour, with signature decorations all around, especially in Central at the Statue Square Christmas. Prepare to be further amazed, with the Symphony of Lights and the Hong Kong Pulse 3D laser graphics displays. The festivities will continue to increase in intensity, especially with the countdown until the New Year arrives. Make sure to catch the beautiful fireworks displays! Since Hong Kong is a multi-cultural destination with the locals exploring various beliefs, you will find a welcoming ambience here. Take note though to respect the different cultures of the various religions in Hong Kong, especially with regards to how you dress when visiting temples and sacred structures. Consider the significant religious holidays when deciding on the best time to visit Hong Kong. 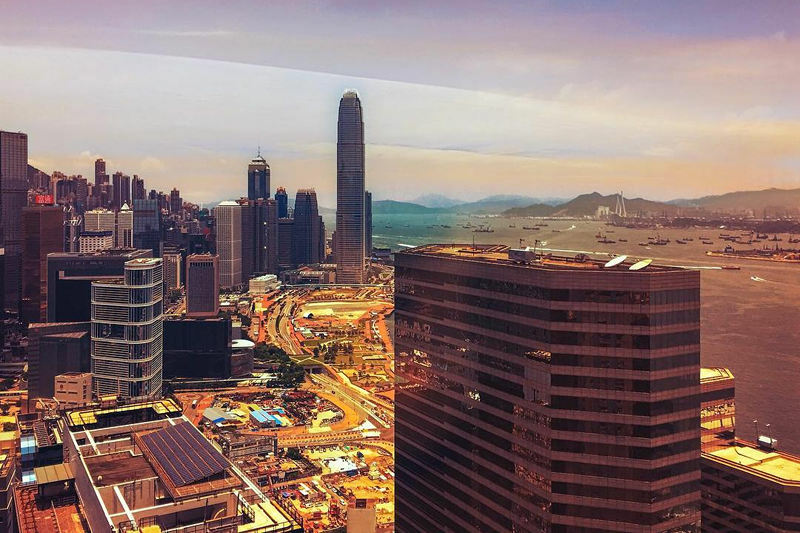 Is Hong Kong your next dream holiday destination? Then start planning that holiday by subscribing to Travelstart’s newsletter and discover our flight specials to this exciting East Asian city! If you’ve done that already and found the best deal, book your cheap flight to Hong Kong today! If you have been to Hong Kong, share your experiences with us in the comments below. I love reading your blogs, keep it up! Thanks for the feedback! We really love informing our readers and clients of what is happening in the Travel Industry and giving tips and information on any travel related topics! Puts a smile on our face when we know our hard work has paid off!